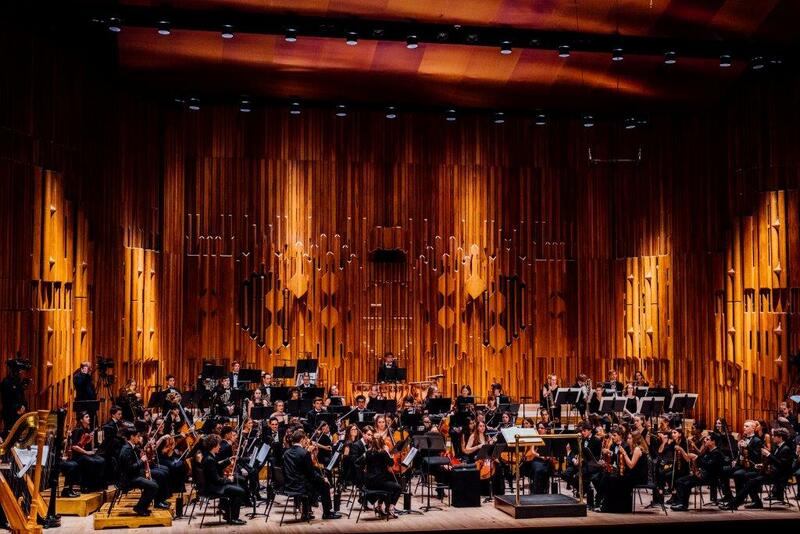 It is 100 years since the first performance of Gustav Holst's The Planets and the London Schools Symphony Orchestra (LSSO) is marking the anniversary with a concert at the Barbican. Conducted by Sir Richard Armstrong the orchestra will play Holst's The Planets along with Samuel Barber’s Knoxville: Summer of 1915, to be performed by soprano Louise Alder who is an LSSO alumnus. Holst's The Planets had quite a long genesis, it was composed between 1914-1916. Because of the war, the pieces were first tried out in a version for two pianos and the first orchestral performance in 1918 was in fact to an invited audience at the Queen's Hall. There also is a particular link between the LSSO and The Planets, Holst composed the work whilst he was musical director at Morley College, the present-day home of the LSSO. Founded in 1951, the London Schools Symphony Orchestra is a symphony orchestra drawn from students in London schools, and the orchestra gives three concerts per year at the Barbican. Louise Alder Young Singer of the Year at the 2017 International Opera Awards and taking the Dame Joan Sutherland Audience Prize at BBC Cardiff Singer of the World.